Panos London is proud to be sponsoring the first London based international festival just for student film. 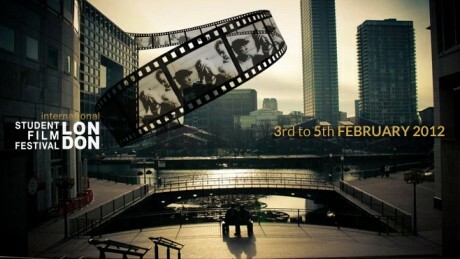 The Student Film Festival 2012 runs 3-5th February and will be held at the London College of Communication and will showcase new talent as an opportunity for students to take what they have learnt in the classroom to the next level. Having a say in how we live is something that we often take for granted. Most of us reading these words are able to communicate our opinions publicly and influence decisions in our family, community, society and government. Yet, millions of people around the world don’t have this opportunity, and remain silent and invisible. Panos London works to break the barriers that keep people silent. We create new spaces for dialogue and inclusive platforms for people who are often not heard, by engaging with the media, using participatory communication approaches and technologies, such as mobile phones, social media, oral testimonies and video and photo storytelling. Taking part in the Student Film Festival’s 72 hour challenge means that we can share our vision with promising young film makers, encouraging them to make the marginalised visible and feature their voices and stories. Panos London will also be sponsoring an internship for one lucky student, mentoring them and building their capacity to use participatory communication methods to enhance their film making skills. To find out more you can read the festival programme and check out Student Film Festival 2012 at sfflondon.org and follow us on Twitter and Facebook for more updates.